Before he passed away recently, my great uncle, Morris Kool, passed a couple ancestry items on to me. This one, “Statica en Dynamica,” is a real gem. My great-grandfather, Cornelis Kool, earned a doctorate (I believe in economics) and his thesis was this book from 1935. I’ll include some photos here of the cover, inscription, first few pages, and insert. 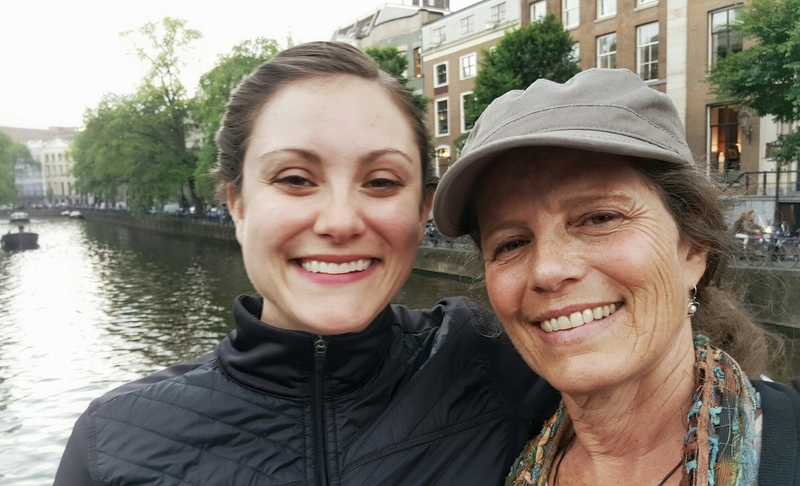 I am visiting the Netherlands and exploring Amsterdam with my mom ahead of a reunion with the Lopes-Cardozo side of the family in Loosdrecht. 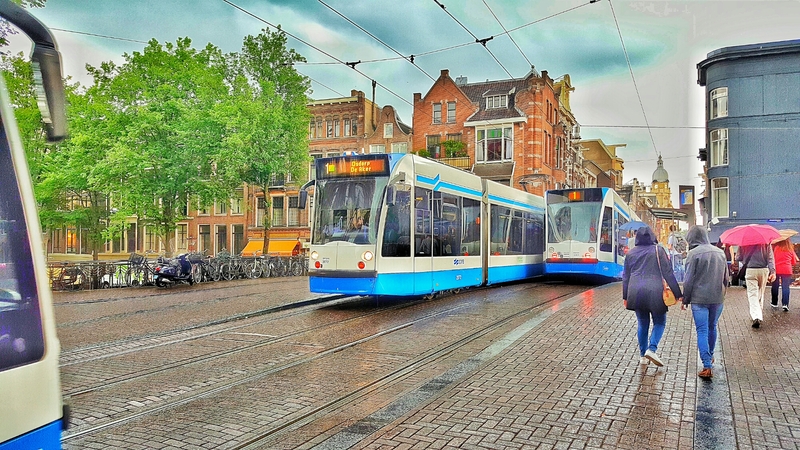 Amsterdam is a beautiful, bustling city with many canals, tastey sea food, something like a million bicycles, and excellent public transportation. Since arriving, I’ve been taking advantage of vacation hours and sleeping in and then we’ve leisurely ventured out into the city. We visited the Dutch Resistance Museum, where we learned about how the Royal Family stood against the Nazis from afar, factory workers would spontaneously strike in solidarity, even though they were sometimes executed for it, and about the 1,300 resistance newspapers popped up throughout the war. The museum had a couple copies of Je Maintiendrai, which was exciting to see, since it was something I blogged about before. Also, just seeing the waterways and buildings makes it easier to imagine what life would have been like when my ancestors lived here. It’s funny, but since what I know of them is usually text on paper or black and white photos, their lives have less color in my mind’s eye than they did in actuality. 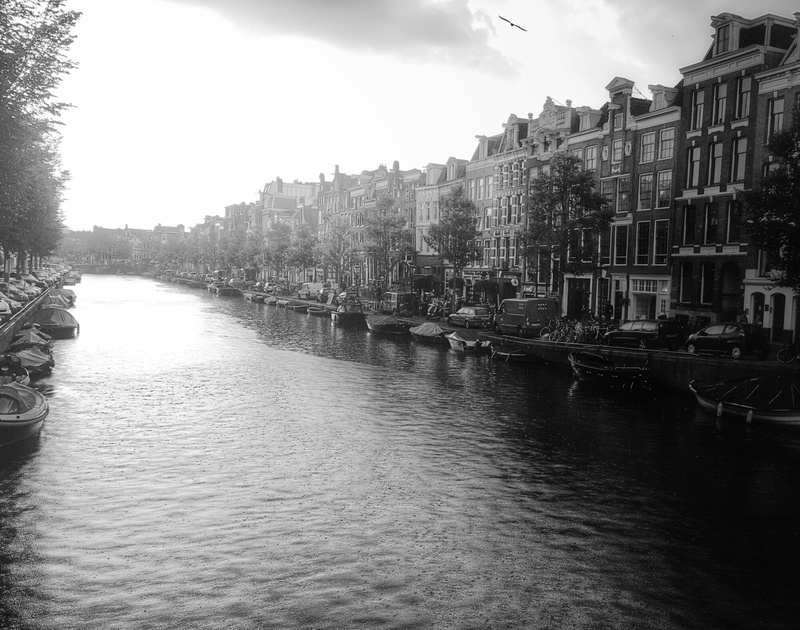 Tomorrow, we will get to meet Cousin Anje in the flesh (very exciting since she’s helped me so much with this blog over the years), and then we’ll be off to Loosdrecht, and Paris (just for fun). 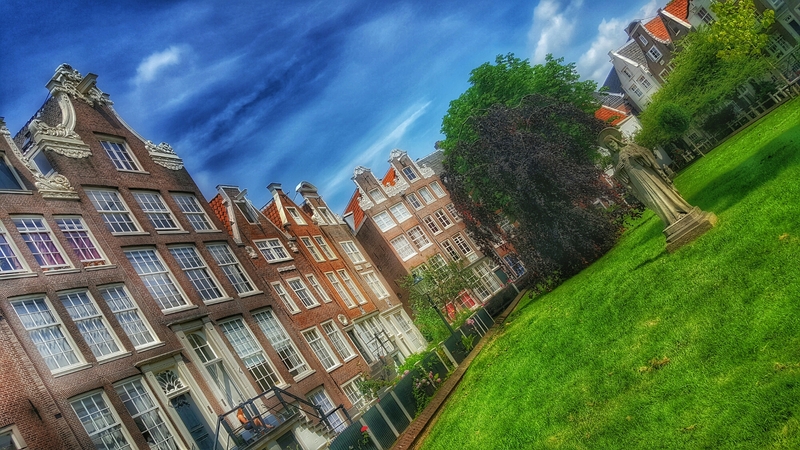 A different perspective of the not-so-secret secret Begijnhof Courtyard. 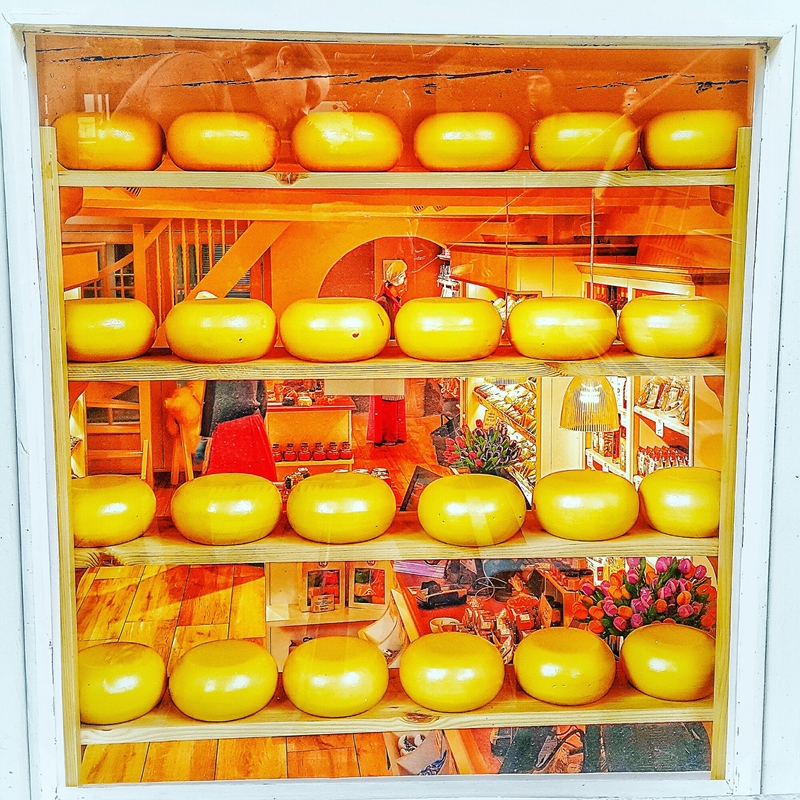 A quick peek through a cheese shop window. 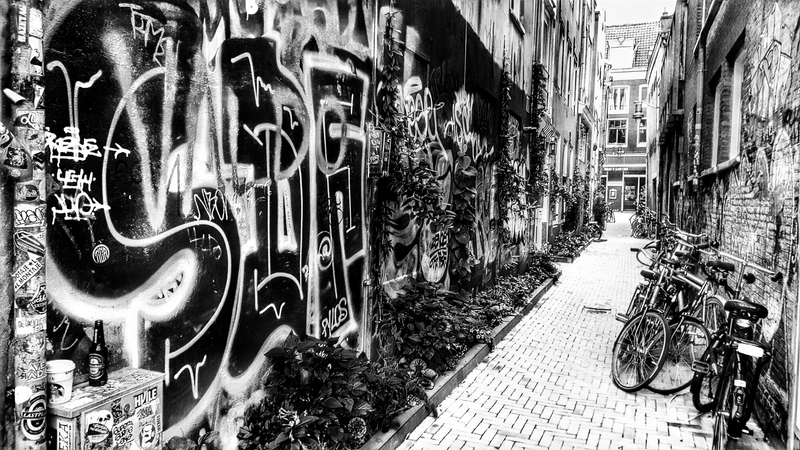 Europe has some striking graffiti. 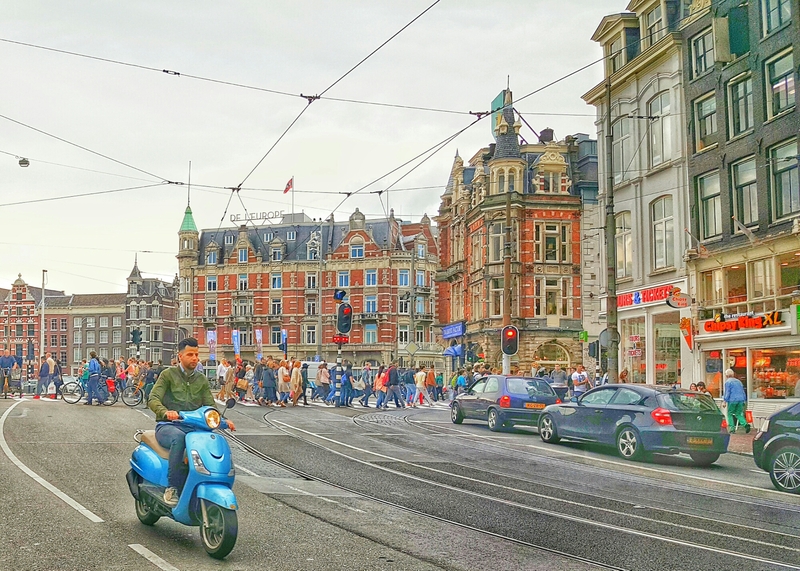 It wasn’t even commuter hour yet and the streets were filled. This is just after a line of cyclists passed by. 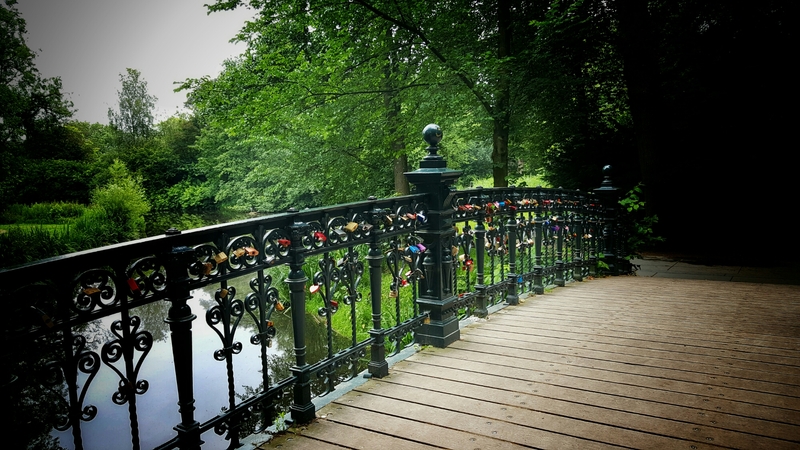 In Vondel Park, lockets with names inscribed line the iron on this small bridge. 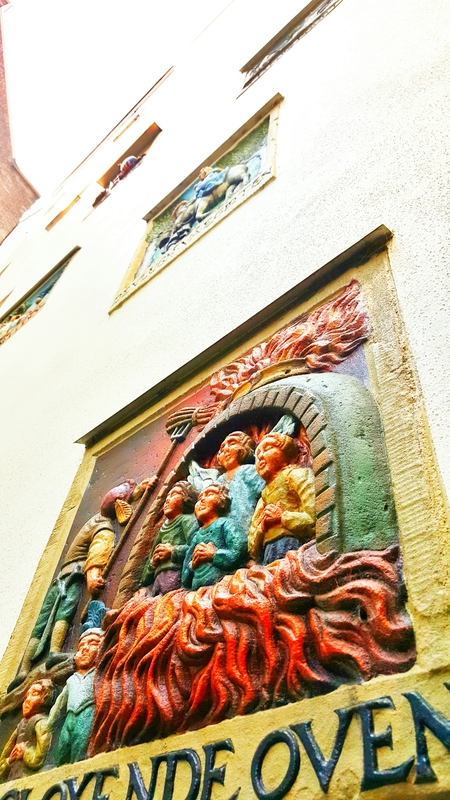 Religious sculptures in the wall of abuilding in Begijnhof Courtyard. 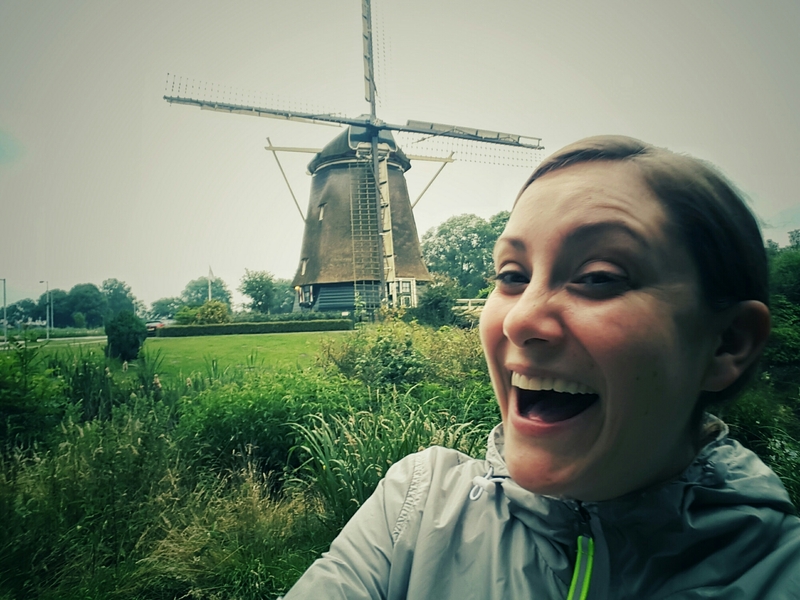 If you kept reading this far, you deserve to see me make a fool of myself over seeing my first Dutch windmill. You are welcome.